My love for vintage started when I tried on a red 1950’s dress with a rhinestone belt in 2011. Since then it has become a passion, resulting in three wardrobes, a dedicated vintage room and less money in my savings than I’d like. 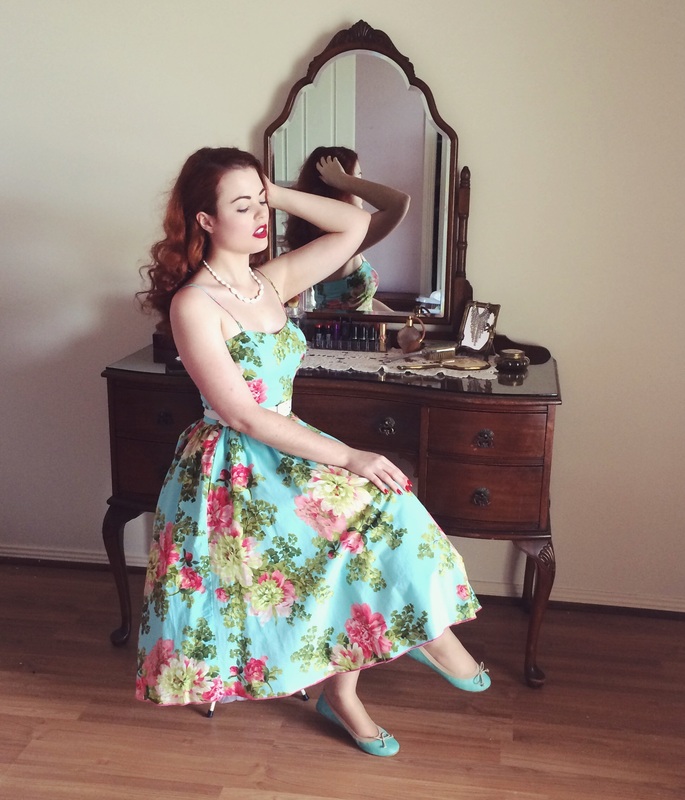 My ever-expanding collection of original gowns, jewellery, gloves and hats has also led into vintage and pinup modelling. The 1940’s and 50’s, both glamorous and feminine, are generally my focus but I also appreciate earlier eras. I am inspired endlessly by old Hollywood starlets, mid-century street fashion and other vintage lovers. Currently I’m a student and work as a tour guide at a historic house which gives me the freedom to incorporate vintage style into my daily life.